Industry-specific profiles for VxWorks 7 include networking, industrial, medical, and consumer; New features and capabilities address the new market opportunities created by the Internet of Things; Collection of middleware will help manufacturers bring connected, IoT-ready devices to market faster, while reducing risks and development costs. New security software offering is especially applicable to the rising security concerns due to factors such as the growth of the Internet of Things. New Clarion AX1 IVI device is based on a customized Android software platform from Wind River. * Clarion AX1 key features include Internet connectivity via smartphone tethering or mobile Wi-Fi devices and app store access for music and app downloads. * Auto IVI device makers and OEMs can leverage 20+ years of Wind River automotive experience, including software integration expertise, and extensive open source knowledge to speed their rate of innovation and time-to-market. * Wind River Linux includes expanded hardware support for the latest ARM, Intel, MIPS, and Power architectures, including support for ARM 64-bit silicon. * Wind River Linux uses the latest Linux kernel and toolchain from the Yocto Project 1.5 release. * Wind River Linux is the market-leading commercial Yocto Project Compatible platform. Wind River Intelligent Device Platform is a complete software development environment targeted at gateways and hubs. Latest version of the platform includes new and enhanced security, connection protocol, and gateway software capabilities. Company continues to demonstrate its commitment to helping organizations capitalize on emerging Internet of Things opportunities. Automotive company PATEO is using Wind River software to add iOS connectivity capabilities to their Android-based in-vehicle infotainment systems. OpenSystems Media (OSM), LLC today announced its upcoming E-cast on Simics: Virtual Testing for Real Security moderated by Curt Schwaderer, Technology Editor, OpenSystems Media. 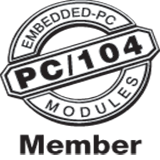 Securing embedded devices is more critical, and more difficult, than ever. Software content in intelligent devices is doubling every two years, hardware platforms continue to proliferate, and security threats are becoming increasingly diverse and sophisticated. Wind River continues to help bring the consumer electronics experience into the car with Wind River Connectivity Solution Accelerator for Linux, software that allows consumers to connect their iOS devices to Linux-based IVI systems. Wind River wins Most Valuable Contributor (MVC) award from the GENIVI Alliance. The award recognizes GENIVI members who have made outstanding and significant contributions to the automotive industry.